Like many others who had followed the Danish debate on human rights, I shivered when I first saw Danish Minister of Justice, Søren Pape Poulsen, on April 12th triumphantly declaring his victory over the European Convention on Human Rights. He insinuated that the Draft Copenhagen Declaration the Ministry had published in February, had been accepted without major revisions. Of course, much is in the eye of the beholder, and Pape may well feel that way, but in reviewing the declaration some of my worry evaporated. Andreas Føllesdal and Geir Ulfstein of the Pluricourts Center at Oslo University have indeed argued convincingly that it would appear that the court has retained its independence and the declaration is in fact much ado about little. This leaves several questions of why. Why did Denmark, traditionally a frontrunner country, create a draft declaration so regressive it gave rise to harsh critiques from the Council of Europe Assembly, from academia in the form of the blogpost series at echrblog, at EJILtalk, at Strasbourg observers, the pluricourts center, and of course verfassungsblog, and civil society in their joint response? Even the court itself responded although not with much fire nor fury. Why is the Minister glossing over the content of the declaration? Why has the Danish Institute of Human Rights been so relatively quiet throughout the whole debacle? – All we got in February was this short note that probably everything is a-okay. Is there something rotten in the state of Denmark? Human rights – a democratic challenge? The Copenhagen declaration has given considerable weight to the importance of national human rights institutions, they must be established (art. 18) and they will help implementing the convention at the national level (art. 14). The discourse that lead Denmark on the path to the rather embarrassing draft Copenhagen declaration started at such a national human rights institution in 2014. That year, the director of the Danish Institute for Human Rights, Jonas Christoffersen, published a (well-meaning?) little booklet entitled “Human Rights – a Democratic Challenge”. ”Defining the scope of human rights should not be the task of the courts. The elected representatives must take responsibility for the formulation and prioritization of basic societal values, because this provides the best democratic support for the decisions.” (page 84 – my translation). ”Can we – hand on heart – really believe that we can – on a global scale – define one common set of norms that can muster support worldwide? Of course we cannot, and we should not believe that this is the only option” (p. 25 – my translation). Why does it matter what the director of the Danish Institute for Human Rights wrote in a non-peer-reviewed book from 2014, which did not gain popularity enough to warrant a second printing? The narrative he presents is not a particularly new one – not even in 2014. It has been around on the far-right for a very long time. It matters because Jonas Christoffersen is an established authority in the Danish legal field. A large number of the annotated laws taught at the Danish law faculties are annotated by him, and his position as head of the human rights institute also lends him legitimacy. For a lot of Danes, the fact that this one man rejected notions of natural law and the universality of human rights in the name of democracy meant that maybe, just maybe, the rightwing populists were right all along. However well-meaning – and who doesn’t want to defend democracy – his critique is flawed. It is reductionist in time, geography and institutions; claiming that the European Convention on Human Rights and its court are outdated in their approach, far away from the people and created with an inherent democratic deficit because the judges are not elected. Conveniently forgetting that the fundamental principle of equality before the law is the foundation for any democratic system in both positive and natural law understandings, as well as the fact that for far too many Europeans, the ECtHR is not a subsidiary to national courts safety net for human rights violations, but the only safety net. The current pressure on the ICC should also serve as a reminder that an international court that doesn’t judge western states often or at all, will lose legitimacy in the South and East. The foundation for the legitimacy of the ECtHR is exactly that it does not weigh how ‘advanced’ it deems a given judicial system to be but applies the interpretation principles including the margin of appreciation equally to all member states. Christoffersen’s critique was followed by academic work by several prominent Danish legal scholars, furthering and building upon the narrative – though interestingly enough only published in Danish. 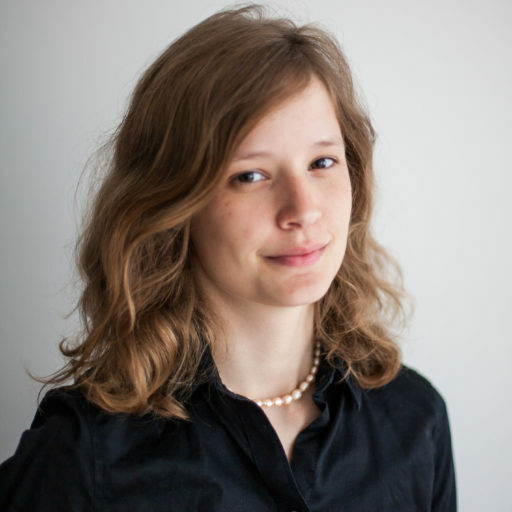 For example, Mads Bryde Andersen (Juristen 2017 no 3) wrote a piece on how the interpretation tradition at the ECtHR compromised legal certainty, and the thing for Denmark to do, would be to abolish the incorporation law that makes the ECHR part of Danish law. Politicians from nearly all major parties followed suit, the nationalist-conservative Danish People’s Party, the Liberal Party currently in government, and the largest opposition party, the Social Democrats, each had their think-pieces on the democratic deficit inherent in international judicial control, particularly one with a slightly different interpretation tradition than the specific brand of Nordic legal realism used in Denmark. This coalition government currently in power has a critical reform of the European Convention on Human Rights as part of their coalition agreement. In 2016 following a parliamentary debate (Question 181) they set down a task force in the Ministry of Justice with the purpose of “challenging the dynamic interpretation tradition at the ECtHR” (Minister of Justice November 2016). In an interesting turn of events, the task force was established under the Ministry of Justice rather than the Ministry of Foreign Affairs as is traditional. According to former Danish ambassador to the Council of Europe, Claus von Barnekow, knowing this is central to understanding why the draft declaration turned out as it did. The Ministry of Justice is profoundly national in their expertise, whereas the Ministry of Foreign Affairs unsurprisingly has a more international outlook. In terms of political motivation, this means that the draft declaration created by the Ministry of Justice caters to the national electorate, more than to international cooperation. As already noted by Antoine Buyse, the publication of the draft declaration, despite its content, is a major democratic innovation as similar debates on the Brighton declaration could only begin after the document was leaked. Anyone who could make it through the nine page draft was potentially a stakeholder with a voice to be heard, and many voices were heard between February and April. Despite this openness around the draft declaration, the live tweets (#cphECHR) from the meeting of the Committee of Ministers, which adopted the final declaration, appear undramatic. Somewhere in between the drafting and the meeting, the final text was agreed upon by the negotiating parties, and it is unknown to us which interventions from countries, civil society or academia were the ones that made the decisive difference. In a comparative analysis of what was scrapped from draft to declaration, the first thing I noticed was the language. The language in the draft declaration, perhaps because it caters to national interests rather than international ones, was accusatory, frequently passive-aggressive and often lacked the universality and neutrality that characterizes international treaties, conventions and declarations. A clear example of this is the draft’s art. 16 (art. 12 in the final version) on national implementation. The first difference: where the final declaration talks about ineffective national implementation, the draft talks about inadequate national implementation. The difference may appear small, but the fact that it was changed speaks volumes. Inadequate has more negative connotations than ineffective. Ineffective suggests that the ECHR relies on the presumption principle. If a state has not implemented the convention thoroughly, it must be because of some technical problem. The same kind of language can be found in the court’s text on the pilot judgement procedures. The next major language difference is that the qualifier ‘in some states’ in …systemic and structural human rights problems in some states remains among the principal challenges… has disappeared from the final declaration. The Council of Europe does not do with dividing language and non-universal application. Of the more major changes that have also affected the legal meaning of the declaration, the language of subsidiarity is worth noting. Where the draft declaration talks about securing human rights at the national level as the ‘natural step in the evolution of the convention system’ and ‘bringing human rights home’ (draft dcl. 10) the final declaration does not include this progression narrative, but simply notes that the court has created a body of case law and the states have increasingly incorporated the convention, and these are good steps for ensuring protection at the national level (art. 8). Another place we can see the change from the draft declaration’s understanding of subsidiarity as a right for states and margin of appreciation as an obligation of state sovereignty to the final declaration’s understanding of subsidiarity as a way to ensure rapid and fuller human rights protection, is in the declaration’s article 10 (draft art 12, 13, 14). Here the final declaration reiterates that strengthening the principle of subsidiarity is not intended to limit or weaken human rights protection but rather will increase ownership and support for human rights. The draft declaration was very different, noting that dealing with large numbers of cases internationally is unrealistic (13) and had localizing language claiming human rights should be protected by national authorities in accordance with their constitutional traditions and national circumstances (14). Inevitably this leaves us in position where certainly there is something rotten in the state of Denmark, unsurprisingly given the current populist trend in all of Europe. There has been a strong discourse of sovereignty and democratic deficit in the Danish debate on human rights, but eventually after reaching an agreement with 46 other democratic states, the Copenhagen declaration does not reflect this to the same degree. In Denmark most of the debate has concerned a single case about the criminal Gimi Levakovic who was not expelled from the country at his latest trial. It was the Danish Supreme Court that decided not to expel Levakovic both because he had never set foot in Croatia despite his Croatian citizenship but had lived forty years in Denmark, and because he had underaged children in Denmark entitled to their right to family life under article 8. Furthermore, the prosecutor had not earlier claimed expulsion. Legally an undramatic and rather simple case – but politically a very explosive one. Levakovic had had his own reality show on national television displaying his criminal life style, which made the case a public one with many people rooting to have him leave the country for good. Despite the fact that it was the Danish Supreme Court that issued the decision not to expel, not the ECtHR, the Minister of Justice has repeatedly, almost as a bon mot or magic spell, claimed that his main reason for wanting to reform the ECtHR was to keep the ECtHR from preventing Danish court from expelling criminal foreigners. The narrative is a strong one in the Danish public, and I for one can breathe again knowing that the 46 other democracies kept Denmark from dismantling the independence of the ECtHR to follow this ill-advised and populist obsession with expelling foreigners and furthering political control with the court. SUGGESTED CITATION Molbæk-Steensig, Helga: Something Rotten in the State of Denmark?, VerfBlog, 2018/4/26, https://verfassungsblog.de/something-rotten-in-the-state-of-denmark/, DOI: https://dx.doi.org/10.17176/20180426-124756. Thank you for the thorough blog. I will draft a reply, but it will take some time as you raise many and complex questions. I do not claim to speak with any authority in respect of much of this, especially as I do not know the internal-national context/ debates leading up to the Declaration in any detail. As such my comments might be taken with ‘a big pinch of salt’. What I would say is this. With respect to the extracts that you cite from Jonas Christoffersen’s book (which I have not read, and so rely on your translation, thank you), dependent on the context they are presented in I do not see them as unreasonable (although, of course, it would be regrettable that they are misconstrued/ abused by politicians claiming reliance on them, if that is what has occurred). As to the reasonableness of the quotations/ points made, they appear to me to have some echoes with statements made by a number of senior UK Judges, speaking extra-judicially (Lord Hoffmann/ Lord Judge/ Laws L J**/ Lord Sumption, as well as Jack Straw MP and Lord Irvine (midwives to the UK Human Rights Act) – Just to be clear: I do not claim agreement with everything THOSE Judges say, but I do not suggest that their viewpoints are totally unreasonable either). Of course, this is not to suggest that the Court’s role as an authoritative interpreter of human rights should be ousted. Certainly not. Rather it is to suggest that there may be limitations on what the international Judge can/ should achieve when issues of policy are at stake, especially given its status as an international court. (Just to add: I do not adopt a particular stance here on the Article 8 issues, relevant to the national case to which you refer – I am just making a point about the need for appropriate judicial self-restraint from Strasbourg, which, I suggest, it observes/ adheres to in the *huge majority* of cases, so indeed, it appears to me that national reactions against it in the UK and Denmark are completely overblown). I have followed the Danish chairmanship, and I agree with Steensig’s article. I am looking forward to Jonas Christoffersen’s answer to Steensig, because I find The Danish Institute for Human Rights' position on the first Draft Copenhagen Declaration worrisome as well as Christoffersen’s suggestion in March 2017 to relax the protection of Human Rights. 1/ the Danish Institute for Human Rights praised the first Draft Copenhagen Declaration saying "it could strengthen the European Human Rights system". A month later, after heavy criticism from national and international NGOs and (only) international experts, the Institute sent the same message in their email newsletter. 2/ In March 2017 Christoffersen was interviewed in the Danish daily Politiken and suggested to relax human rights protection in order to maintain the support of the Human Rights system and keeping Europe together. where I asked about his (and professor of law Mikael Rask Madsen’s) lack of criticism of the first Draft Copenhagen Declaration.